Tell Me Lies About Manchester: Callow Youth: Did It Really Matter? - debut single. 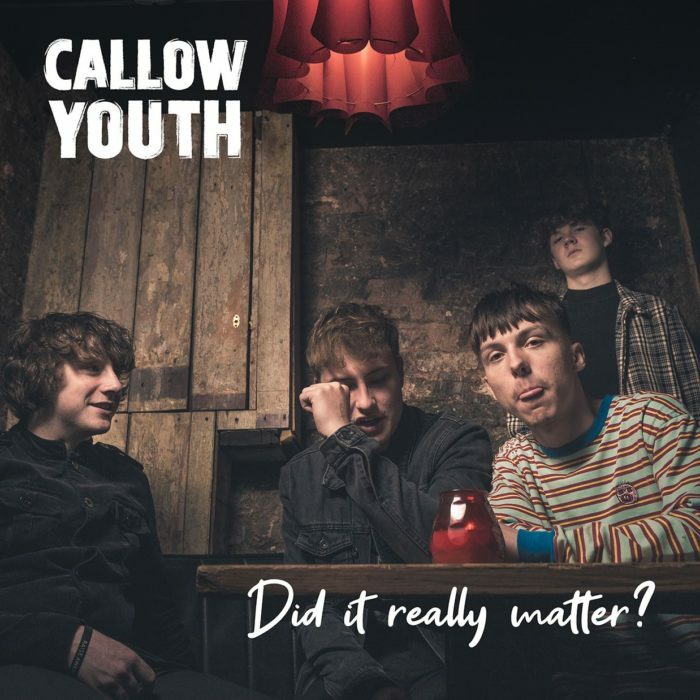 Callow Youth: Did It Really Matter? - debut single. North Manchester teenagers air their debut single this week (Friday 1st Feb) and it’s got all the swagger and expectancy you’d want from a bunch of 18 year olds from Moston with attitude. They’ve already been dabbling on the scene, building a live reputation in the Northwest and hitting playlists with their earlier unreleased stuff like Into The Sun, which impressed me enough with it’s Northern charm and catchy chorus. They’ve already been spotted on the LTW radar in June last year. Along with Scuttlers from Middleton they are hotly tipped for this year and if this debut is anything to go by, this next wave is gonna start rippling fast. Did It Really Matter is fast paced indie rock with a punch that is going to attract the indie masses wanting more of that anthemic rush. It has already been made Single Of The Week on XS Manchester. Great stuff!